Home » News » Dalmau Shipyard has completed construction of the "Barcelona Fast Ferry". 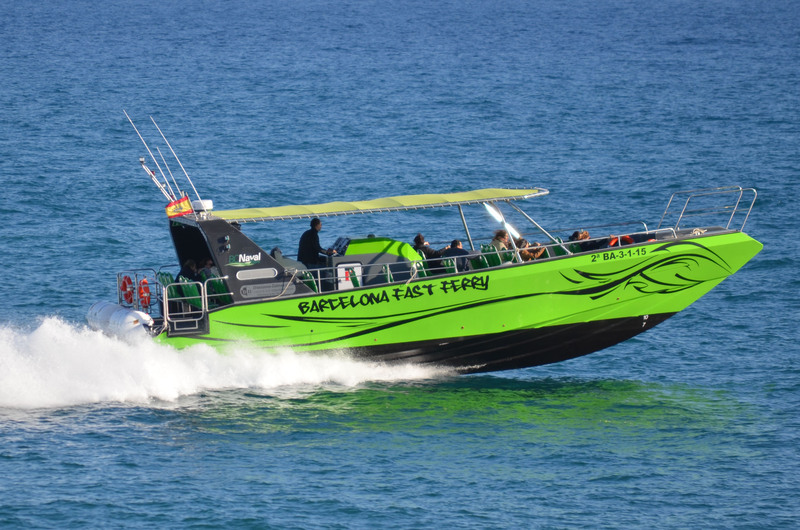 The ‘’Barcelona Fast Ferry’’ belongs to the new line of ships ‘’Fast’’, launched by Dalmau Shipyard. This model is 14,65m length and 4,5m of width. It has a capacity to host 48 passengers and its classified as H. The boat could work a cruise speed over 30 knots with all passengers on board. This new high speed monohull has been designed to perform regular lines at a higher speed and has saving on the final cost/price. This new line of ship allows many changes, either in the length and the type of engine. In this case, the boat has two Volvo engines IPS that allow greater control over the vessel while not losing much speed in turns, regarding the use of rudder. Another of the many advantages of having implemented IPS technology is the ability to move the boat sideways without mounting bow thrusters. The ship has also flaps installed that give greater stability when traveling at high speeds. One of its strengths is its cover, without props, to provide greater comfort for passengers and crew, as they have more vision and it’s easy to move. Access and shipment can be done in different parts of the boat, making easier to load it and unload it, while greater compatibility and shipping options at ports are obtained. Although the boat is designed for lines, it can be easily adapted for all kinds of events or excursions. The chairs can be removed, so to have different configurations of the cover. It also has a hot stern and the hull can be adapted to embark and disembark or embark on the beach. This speed ship is intended for a young and bold public that want to feel strong emotions and experience the speed at sea.